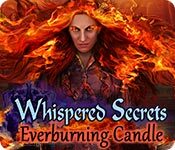 Whispered Secrets: Everburning Candle is rated 4.4 out of 5 by 30. Rated 5 out of 5 by eva338 from This game was a lot of fun and had an interesting storyline This game was fun. I liked the puzzles (mostly easy, but different, although you could change the difficulty level) and I liked the story line. You get to save different people and I came to care about them and what had happened to them. It was creepy without the horror and I appreciated the lesson about how anger, sorrow, revenge etc. can you consume you and turn you into a "monster". It starts out a little slow but I played it twice all the way through. This is the most fun I've had in awhile. Rated 5 out of 5 by kerith90angel from Based on FULL GAME COMPLETED....what you can't see after the demo... For anyone wondering how the entire SE plays out or if you are on the fence to buy the CE... I am glad I did,,, here is why- ****************MAY CONTAIN SPOILERS******************* I play all of these games on custom mode. The SE portion of the game took me around 5 hours The bonus play 1 took me, 1hr 15min Bonus play 2 unlocks when you find collectibles: It took me 15 minutes. TOTAL GAMEPLAY with bonus was 6 hr. 30min MOST IMPORTANT THING FOR ME TO TELL YOU: This is my favorite in this series and currently my new favorite game of all. They took a risk with turning the series spookier and it WORKS! If they make the next one exactly the same I will buy CE on day 1. Everything about this game works. It takes a lot for me to say that too. Secondly, even though it has a “darker” storyline…. the atmosphere is rather beautiful throughout most of the game, so spending time here is well worth your while. 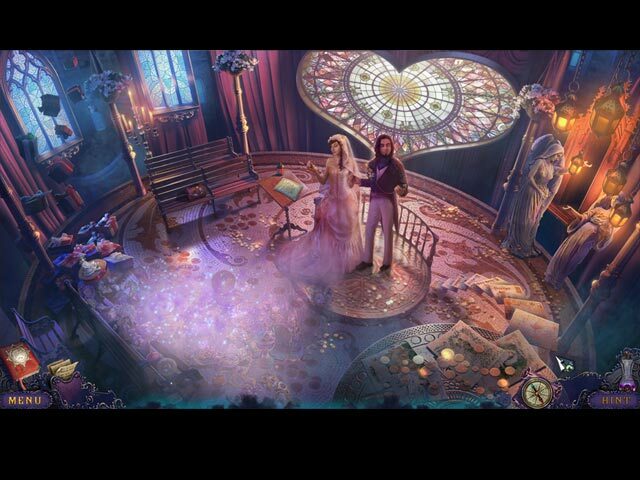 Third, this game, of all the games I have played over the years, has THE BEST HIDDEN OBJECT SCENES I have EVER DONE! This is the first game I wished to have doubles of them. They can be replayed in bonus. The type you see in demo, will carry on throughout the game. Most are 3D or multiple scene basis, where you have to spin or turn or flip through panels to find all the objects. And Finally, if they had used the bonus play as the demo I bet this game would have a solid 5* rating instead of the 4.8 rating it has as of this review. This is the only game I have EVER PLAYED that I actually liked the bonus BETTER than the demo, with the exception of Sable Maze Sullivan River. Each Chapter is a different person committed to this hospital and how each transformed into some weird “other” self. Some of these were farfetched but the site seeing and game play just flows over the oddities. FAVORITE SPOT IN GAME IS CHAPTER 3- The wedding scene, it is in front of a gorgeous stained glass window, and there is gameplay before a 3 part mirror that just knocks your socks off. Chap 3 also has a castle above the land, which you will see again revamped. The bonus play is my other favorite play of the entire game….see “about bonus play”. MAP, HINT, DIARY, GRAPHICS, VOICE ACTORS, & MUSIC- The MAP is a rough sketch with portal windows to fast travel to the next task. It is super basic but does serve the purpose. HINT is helpful step by step that also has the capacity to teleport to other areas quickly. There is a basic type of diary that holds notes you pick up in the game— better than none. The GRAPHICS are rich, clear, and with great color. The tones chosen through the entire game and especially in the bonus area are perfect. The characters look almost live, the voice overs are perfect, and the music is great…. it all works. ABOUT BONUS PLAY- This game shows 2 bonus play but technically only the first is extra play… and the second is a rather quick and it remains locked until all of the collectable “orbs” are located. The actual bonus play is 9 areas of play and of those, the first 3 we have already seen in SE play, the next 3 areas are new, and really worth seeing, and the final 3 are revised areas. There are 5 new hidden object scenes to play and 5 new Mini games. The story is Fiona is trapped and asks Angelina for help. *****Did I just feed a can of cat food to Fiona but I gave the croissant to the swan?? Tasty brand, she gobbled it up faster than my cat ever could. You see this in bonus play part 1, area 7 in the basement. Those very fun “Blot tests” you see in demo are played throughout the whole game and continue into bonus. I adored those. Rarely have I purchased both the SE and liked it so much to use credit or a sale to buy the CE, but this is one of those to come back for someday. I would have really bummed out if I hadn’t bought the CE right from day 1. Finding COLLECTABLES is BONUS 2 PLAY: ********THIS SECTION HAS SPOILER SO DON’T READ IF YOU DON’T WANT TO KNOW******* This section unlocks when you find all the MARBLES. I had missed 1 and it was nice to be able to reenter the scene that I missed to collect it. The 2nd bonus play is called A BRILLIANT MIND- It starts you in that area that spins with the 6 different children (from the SE play) at the front of each hall. Again, you answer their riddle in order to proceed to the final locked door which unlocks to a cut scene. I play with Windows 7 and the voices didn’t play for this kids this time…so I am not sure if it was just my computer. At least there is still text to see what they are saying. The cut scene didn’t make sense to the end to me, or to the game as a whole for that matter, and after that the game’s credits roll. CE GOODIES ARE: Xtra play, Find all the orbs has 15 min gameplay. REPLAY these perfect HOS & replay MG & cutscenes, , The 5 concept art has logo but it is just black and white quick sketches, BUT there are 5 pictures of artists from this DEV either at some place during their work on this game. Too bad we didn’t have 10 pic of the DEV and NO concept art…. Would much rather see my heros. Ah, well maybe next time. There is an achievement page 10 MUSIC DL 10 WALLPAPERS 51 PG IN GAME WTG STRATEGY GUIDE There is an in game 51pg walkthrough guide. To give you an idea of how long the bonus play is compared to the demo, CHAP 1- Angelina 11pgs. CHAP 2- Graham 7pgs. CHAP 3-Gwen 11pgs. CHAP 4 Fiona 7pgs BONUS PLAY- Burning Women 10 pgs. other-5 pgs IF YOU LIKED THIS GAME HERE ARE SOME OTHERS LIKE IT: Try the Grim Tales Series. Also has beautiful environments and consistently great game play. Many thanks to Big Fish Games! And to the maker GS…this is the best game you ever put out!! Thanks to all involved in making it…. this fan appreciates you! Rated 5 out of 5 by sfr8rfan from It's No Secret: This is a GREAT GAME! After reading Sunnyglow's review I was very excited to play this game. My expectations were high. They have been met, if not exceeded. Although the HOGs are not great, the mini-games more than make up for that deficit. If you're a gamer who prefers mini-puzzles to HOS, you'll be very happy. If you prefer your games to present a challenge, you'll be delighted. Additionally, the story line, though improbable (but hey, it's a fantasy) is well conceived and logically presented (even if not logically possible). You know what I mean. Everburning Candle maintains an internal logic so that as the game progresses, information is added and the story becomes more involved and involving. The story does not go off the rails in a maelstrom of nonsense. 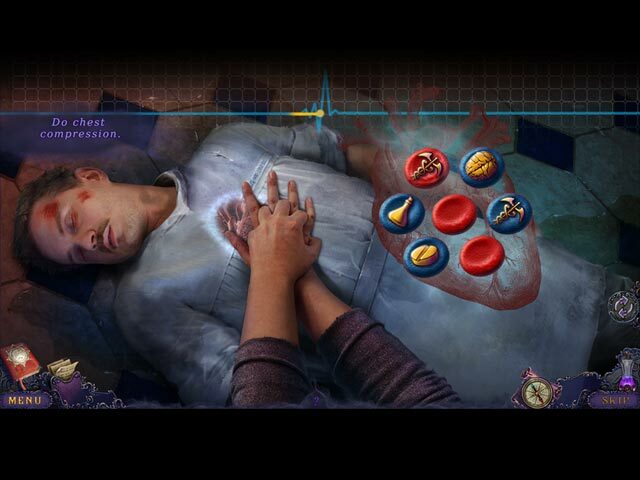 While the audio and video are not nearly as polished as Mystery Case Files and Mystery Trackers games, each is good enough not to stand in the way of or detract from the superlative mini-games and storyline. Consequently, these two, most important, features of any game to me happen to be excellent in this edition of Whispered Secrets. They overwhelm the features that are not "top of the line." Overall this is a great game. I hope this makes sense: this is a low 5/high 4 game. Because ratings here tend to run high IMO, a game rated only a 4 can be dismissed. (I'm guilty of it). So, to do this game justice in comparison to other games and to give you a fair idea of its quality, I am awarding a well-deserved 5. Rated 5 out of 5 by Italia47 from Who will fly over the cuckoos nest, I wonder? Talk about a psychological thriller! This is a blazing story which is not for kids nor the weak of heart! I wasn't sure how the ending would be but I was curious and completed the SE version of Whispered Secrets: Everburning Candle. I am so glad I hung in there! GRANDMA DEVS put an exceptional amount of work into this game. Bravo, devs! It's a rather disturbing storyline and as you comb through the tasks, you will understand the method to GRANDMA's MADNESS! There were 3-4 second delays--maybe a glitch, maybe not--as you comb through scene after scene, and you will be going back n' forth, too, but the jump-to map is superb. The hint button can also be used as a navigator if need be. The graphics didn't wow me but they were good considering most of the scenes were quite gloomy. That's why when there were 'outside' scenes, I welcomed them! But most of the time you're in an Asylum; and how cheerful is that? Again, the subject matter was a bit disturbing but intriguing, and it explains how each troubled character came to be; however, I won't give away any more information than that. I suggest you either play the demo or purchase the SE version. The puzzles and mini-games-some unique-were great and quite fun. The HOPS were wonderful! Voiceovers were very good! I highly recommend this game for the innovative tasks and outcome of the story. Great job, devs!!! Rated 5 out of 5 by Robcol from This game is absolutely AWESOME Keeps you hopping! Great puzzles, well planned and challenging Super graphics. What more can you ask for. BUY IT. It is a bit gruesome, so beware. Rated 5 out of 5 by pennmom36 from THIS GIRL IS ON FIRE When the local Asylum catches fire, you have no time to lose, patients lives are at stake. But this is no ordinary fire,and this asylum has some extraordinary patients, patients that have been concealed from the outside world! Angelina is one of those patients, a young girl who had no business being locked up in as asylum, and now she's seeking revenge. Can you overcome the supernatural phenomenon and reverse years of abuse to mend Angelina's psyche before it's too late? Choose your next step carefully, the choices you make will change the course of the game. Will you choose to calm down the horse or start the fire truck, will you gently calm Barney or use a more aggressive approach? Dr. Rorschach has a few ink blot tests waiting for you throughout the asylum, are you confident in your choices? You even get to choose which version of some Mini Games you want to play, but you only get to choose once! To be honest with you, I think the game is designed to give you the same end results either way, I chose the exact opposite playing this version as I did with the CE and I saw no difference in the outcome, but I didn't finish this version. The Collector's Edition has Achievements to earn and 36 Hidden Marbles as well, who lost their marbles I wonder? The Hidden Object Scenes are actually far and few between but they are extremely creative and entertaining, if not a tad bit creepy. There are smaller Zoom Zone lists as well as interactive list finds, and one of my favorite, was rotating a cube to search for silhouetted shapes while placing the items you find on one side into the other. You even get to choose if you want to play a Hidden Object Scene or a Match 3 game. The Mini Games are fresh, and creative. Below are brief descriptions of some of the games you'll encounter during the demo: 1) Rotate the circles to restore the image, clicking on the center circle rotates others. 2) Follow the steps to resuscitate a drowning victim in the form of a few simple mini games. 3) Move the pills to set the clock to the reception time. 4) Swap the tiles on both sides of the machine to repair the pipes. 5) Choose the maze you want to play, a rotating maze or a static maze, using arrows in a limited amount of moves. The Collector's Edition has 15 Achievements, 36 Hidden Marbles, 10 Music soundtracks, Movies, 10 Wallpapers, 12 Workshop pictures, a built in Strategy Guide and two Bonus Chapters, Runaway & Brilliant Mind, enjoy your stay at the asylum! Rated 5 out of 5 by biscuitsmama from AN OUTSTANDING GAME IN THE WHISPERED SECRET SERIES As a detective you arrive at the scene of a huge fire and it is not long before you are in the middle of the action. The local asylum is burning and the firefighters are quickly losing the battle to save it as somehow the fire seems very unnatural. The firefighters are having extreme difficulty in controlling the blaze that could easily spread to the adjacent town so you jump in and help. As you gain entry to the asylum you are faced with the horror of what lies within its walls. Hopefully, you will be able to find survivors and maybe find out what is causing the devastation. There are four modes of gameplay to select and the custom mode is included as one of your choices. In custom mode the hints and skips can be set in the range of 10 – 500 seconds. The graphics are crisp with some very creepy hand drawn artwork that is reminiscent of those in some of the MCF games. Although some scenes might be quite gorgeous, others are very dingy. The sound effects add to the creepy nature of the game and more than a few of you might find them a bit disturbing; I sure know that I did! Even though I was a bit rattled, it doesn’t mean that I didn’t think they added to the game or that I didn’t like them because they were absolutely perfect and set the entire tone of the game. Very early in the game you will find an interactive, transporter type map that will show where you have tasks or objectives. The HOPS in The Everburning Candle are some of the best I have ever played. I love some of the innovation that the developer has used that definitely set this game apart from others. I am not going to spend a lot of time telling you about the HOPS or the mini-games but I loved all of them. Although some of the mini-games are familiar, they have a different spin to them and are quite excellent. Some might seem a bit difficult but they just take a bit of time to figure out so they are doable without a lot of stress factor. In the CE version of the game there are collectible marbles to be found and they are located in each scene. Of course we have those meaningless achievements (at least they don’t rock my world) but not much else aside from the standard fluff. Although I absolutely think that this latest Whispered Secrets game is by far the best in the series, I have to say that many gamers might find it a bit disturbing. That aside, I strongly urge you to try the demo before you purchase the game. I happen to be a fan of some of the more creepy games but this one had me a bit on edge at times. That doesn’t mean that I didn’t like it because I did. It is only my humble opinion but I believe that this is probably one of the finest games we have ever had from this developer and I would love to see more like it. There are so many of the innovative gameplay features in the game that I couldn’t wait to hit the buy button and continue with the full game. . The Everburning Candle is certainly not your run of the mill so-so HOPA game. Just when I have become bored with many of the games I have played this year, we have two excellent games in the same week and I am thrilled to say the least. As I mentioned above, please try the demo of The Everburning Candle to see if this is a game you will like. Rated 4 out of 5 by Fatalita from Solid HOG I really enjoyed this game it is one of the better ones that I have played. I felt like it started out strong and finished okay. I definitely had started to lose interest around the end and I felt like the ending was a bit rushed and not challenging. I felt like the choices led to no where which is the real reason why I only gave it one star. I think 80% of the game is amazing and 20% was unimaginative. Rated 4 out of 5 by deddu from Everburning Candle I agree with other reviews on the graphics and ease of play. 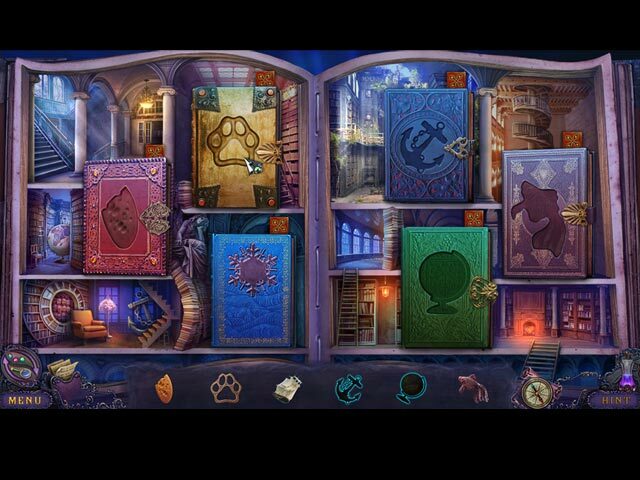 I think that the hidden objects and mini-puzzles were good, but not that challenging. I would recommend for beginners. Rated 4 out of 5 by shihtzumum from I almost gave 5 stars This was close to a 5 Star,but it's a strong 4 Star. It was really beautifully done and the story was very exciting. HO's were well done and puzzles...just can do without them and there were way too many. Be sure to give this one a try and just the graphics will win you over. Rated 4 out of 5 by Aliana_4711 from Amazing, creepy and a little bit surreal. My rating is based on playing the entire SE. It meets all of my requirements, except of length. - Mystery Story: You are a detective and investigating a supernatural fire in an asylum. During that, you discover a little girl. Mommy did not love her all. Poor girl. You have to save her. Step by step you’re discovering dreadful secrets. The deeds behind are driven by greed. The story is quite exciting. - Difficulty can be customized. Tutorial, sparkles, map issues, glitter, contextual pointer, plus item indicator, penalty and hint / skip recharge. Helping texts can’t be excluded. - Graphics: partly really realistic. Very imaginative. - Animation: excellent - Music: decent, partly thrilling. - Voice-overs: as well excellent. - Tools: you have an interactive map, nothing else. - HO’s: great HO’s, different types some with description, silhouettes… some with fog. You can’t switch to another mode. - Mini games: very, very interesting. Rich in variety. Not too difficult. - Adventure part: You have mostly about 5 locations +/- to investigate. Needed items are spread about more locations. The back and forth were acceptable and not too many. Tasks were mostly clear, as well as which items are required. It was not too obvious. Nevertheless, I would have loved to play w/o helping texts, they made it a little bit easier. Without them, it would have been quite a challenge. - Length: I needed about 3 ½ hours for completing. From my point of view it could have taken much more time. Rated 4 out of 5 by mandms33 from Exciting Hidden Object Game This is a fun game that held my interest throughout the demo. It was relatively easy to begin with, and I liked that the game gives you a choice of what to do, for example, 'free the horse? or help the firemen?' The setting takes place in an asylum and held my interest to find out what happens to the little girl Angelina. The music brings you into the story well and the graphics worked well with my small computer. I would recommend this game. Rated 3 out of 5 by lvgames7 from Creepy A little too creepy and dark for my taste. Rated 3 out of 5 by bhgkitty from Well, its not terrible... I should have paid close attention to the review by "roaming" Everything they wrote, I agree with. The demo seems cool, so you end up buying the game. Then it becomes so repetitive and uninteresting that you just quit. Like me. Right now. And I'm coming here to tell you it is not worth the purchase. By all means, play the demo, it is fun and interesting enough to kill 30 minutes. But after that? Move on, because literally the game repeats. Save first victim, then same format for the next victim, then again, then again; rinse, repeat until you're bored. The game is pretty, it doesn't seem glitchy, and seriously the gameplay for saving the first victim was great...once. I did like the puzzles because they seemed a bit different, but they too became repetitive. As if they were put in the game to keep you mindlessly clicking. I appreciate developers trying to extend my gameplay, but please don't have me open up 10 books and picture match over and over again. It's honestly not enjoyable. Anyway I play Hidden Objects often, I do it for fun, to unwind. I don't care for super puzzles that require 25 mins of effort, but I sure don't like something I can solve under a minute without reading instructions. I like puzzles that make me think, and cause me to figure things out - that being said about me and my preferences...this game bored me to tears. Rated 3 out of 5 by roaming from Starts out great, gets tedious after that. This game reminds me of an old joke. A foursome is playing a great round of golf when suddenly one has a coronary and drops dead. After that, the remainder of the round was to just "shoot and drag Jack, shoot and drag Jack." I bought this game based on the demo and the great reviews for both this and the collector's edition, and I agree it's original, distinctive, imaginative, graphically exciting, etc. etc. etc. But after the first victim was "saved," the remainder of the game began to drag on... and on... and on... more so with each ensuing chapter. That said, there were enough HOS to keep me happy, some of them quite different from the usual, and the custom setting allowed for a fast refill of the hint and skip functions, the latter being almost a requirement for me these days. I do think Grandma deserves kudos for a superb effort, even if in the end I felt it was simply too much of a good thing. Rated 1 out of 5 by daytonart0093 from Not what I thought it would be. I read the reviews prior to purchase. I thought the reviews were quite misleading I did not like this game at all. Everyone is of course entitled to their opinion, but when the review starts off by explaining the story line instead of their reaction to the game play, I find this kind of review totally unnecessary. I did not care for the story line, Did like the puzzles, and the game play itself was easy to follow. Used the map quite a bit because the layout was vast.